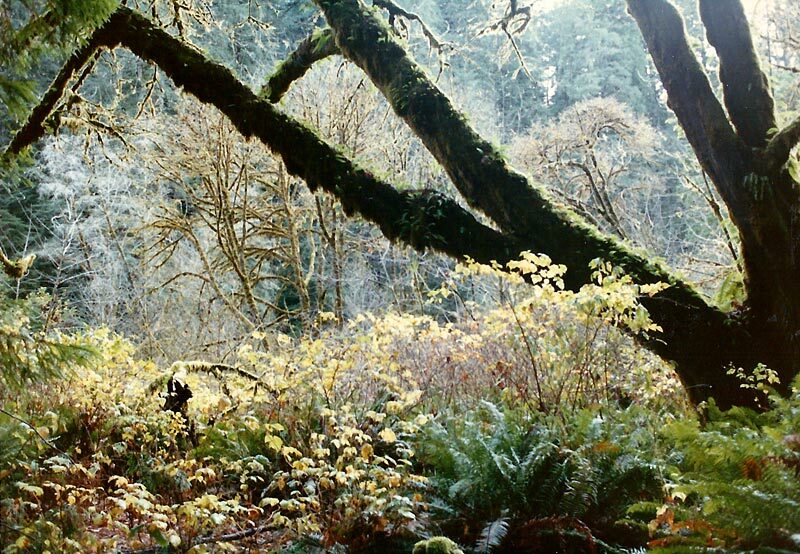 Redwood National Park - I don't remember where exactly I took this photo of the forest understory. You can't really make out the redwood trees, but it's still a nice photo. 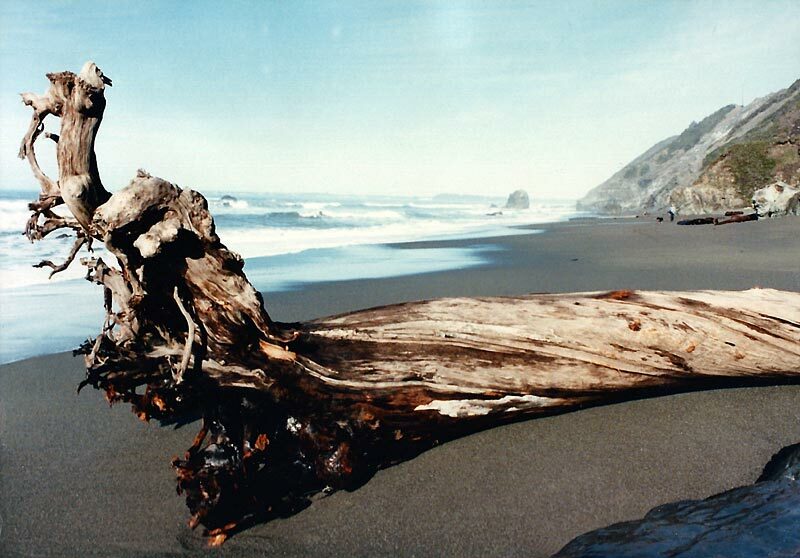 Somewhere along the coast in Redwood National Park. 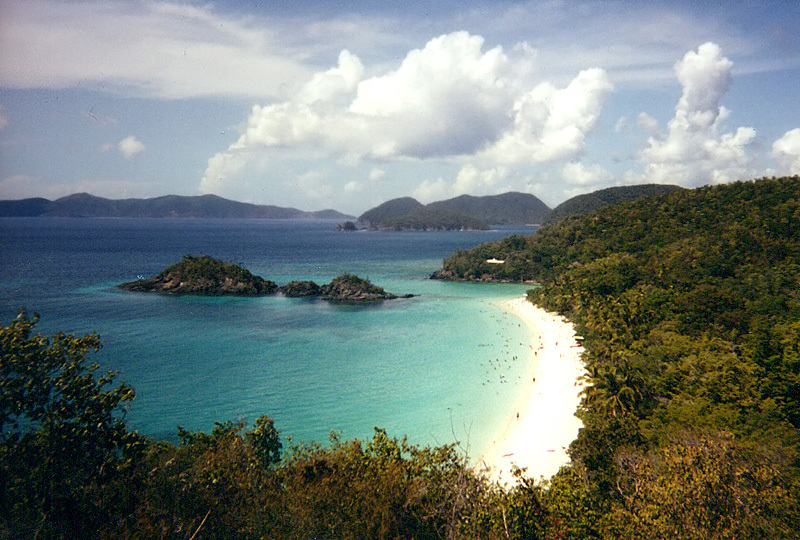 Virgin Islands National Park - this picture of Trunk Bay on St. John was taken by the side of the road. 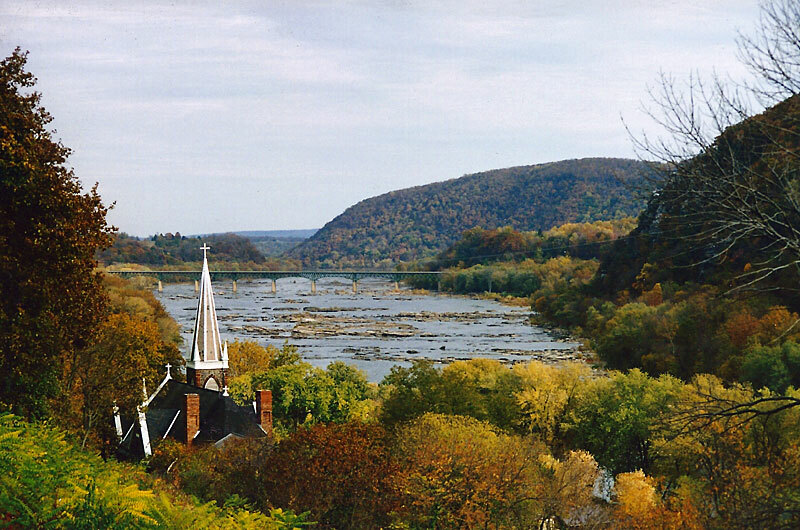 Harpers Ferry National Historic Park - the view from Jefferson Rock can be easily reached by climbing a few steps from the center of the historic town. I have more information on this area here (under the heading Maryland Heights).